Awesomely solid rum, that succeeds on many levels. Strong taste, well defined flavour profile, just enough sweet and a lovely dark body that doesn’t quit. Wow. A worthy addition to the shelf, to be doled out to real friends. (First posted 13 April 2010 on Liquorature. Against the constant whine I make about rums not stating their proper age on the bottle (like some sly strumpet misrepresenting her quality), I have to concede that having a friend to not only help drink it but who’ll trot out his own cherished stocks to stretch out the binge is some small way a decent compensation. The not-so-mythical Bear, who very thoughtfully helped me change my winter tyres, suggested one or two vintages from his pantry (a Santa Teresa 1796 for one), but I had bought this intriguing new as-yet-unsampled dark rum hailing from St Croix for ~$35 from the much lauded Western Cellars store in Midnapore (I was disappointed yet again with the paucity of the rums which contrasted badly against the groaning and crowded shelves filled with expensive twelve year old or greater scotches), and since this is a tad more expensive than the normal hooch that goes for $25, I thought it was time to try it. Keenan’s hurt look of reproach (he has spaniel eyes that really work well for this), that I could find the contents of his private cellar somehow less than adequate, mellowed quite markedly as soon as he saw the bottle. For all his talk about not wanting his bottlers to waste time dandifying their wares and thereby jacking up the price for nothing but cosmetic upgrades unrelated to true quality, Keenan is a bit of a sucker for a real cork. St Croix had a suitably exotic ring to it. And the little label at the top, where real ink noted this was bottle X from barrel Y, impressed us both even as we snorted our skepticism. 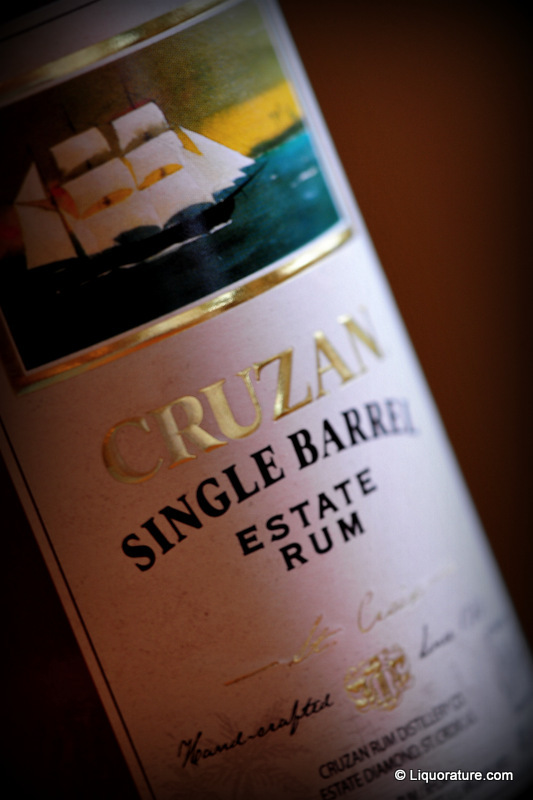 Still, Cruzan’s single barrel rum is not bad at all, for a rum that is blended from a series of 5 year to 12 year old rums. It has a pungently sweet nose that states its origin in molasses quite clearly. 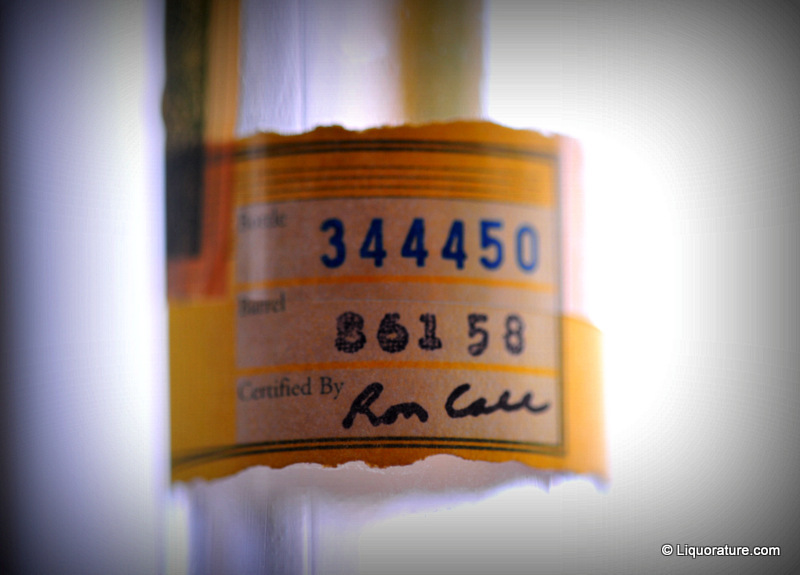 The original rums that create the blend are aged in white oak whiskey and bourbon barrels, but the resultant is then itself aged in yet another charred barrel for a further period about a year, and I’ll tell you, that thing creates a deep amber colour and a striking nose that a single ageing would not produce. You can taste hints of caramel, vanilla, butterscotch, dark fruit and faint nuttiness, and the finish, while not quite as smooth as I would like, is not unpleasant at all, and lasts for a good bit. It’s reminiscent of a good cognac. It’s dry and clean and the burn is quite mellow, really. And I have to say it: it pleased my sweet tooth, and the body is decent, so while I might not drink it neat, over ice it’s perfectly drinkable, and with a coke I’d say it’s just veddy veddy good. Honesty compels me to admit that I had to do a second taste at home, after departing Keenan’s porch somewhat worse for wear. Sampling the Santa Teresa (it’s quite good, but I have to write the review) and then the re-tasting the Appleton Master Blender’s Legacy (which is about as poor on the finish line as I recall), then following that up with 3/4 of the bottle of this exemplary Cruzan had me seeing three Keenans as I departed. 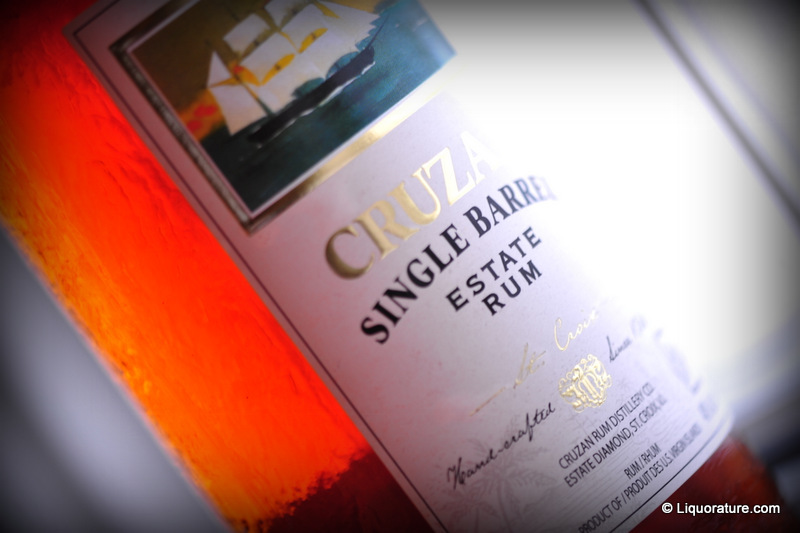 My mother raising me as she did, I said goodbye three times, and assured each one of the three that when it comes to a good mixing rum, or just a damned decent drink for a reasonable price, this Cruzan is definitely a good buy. Hopefully the Bear was in better shape than I and can remember what a good drink it was: I guess I’ll see the next time I raid his stocks or he comes over to pilfer mine.